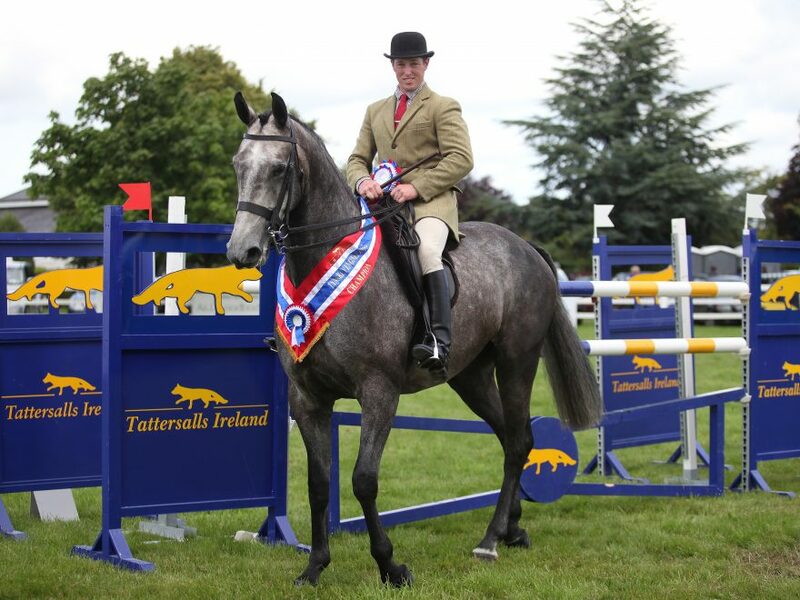 Tattersalls Ireland July Show in association with the Rolestown Show and Ward Union Hunt attracted large crowds over the weekend and proved a great success, whilst at the same time collecting much needed funds for the Show’s Official Charity St Francis Hospice. Captain Geoff Curran stole the show taking the two Grand Prix’s on offer over the weekend. On Saturday, he guided the Minister for Defences; Galway Bay Easy Touch to a double clear with the fastest time by .57 seconds to win the Friends of Rolestown Show Grand Prix, with a prize value of €5,000. Sunday evening featured the TRM/Horsewear New Heights Champions Series Grand Prix with a prize fund of €10,000. The on-form Captain Curran set a blistering time of 48.82 with the Minister for Defence owned mare Shannondale Rahona which could not be caught and sealed their double victory. On the showing field, it was Daphne Tierney’s four-year-old Lightweight Hunter Bloomfield Waterfall that achieved top honours winning the Champion Hunter of the Show. Reserve Hunter Champion was also owned by Daphne Tierney; Bloomfield Bespoke the five-year-old Middleweight Hunter. Both horses were partnered by Jane Bradbury in their classes. Over 90 entries lined up for the first and only Dubarry Burghley Young Event Horse Qualifier to be held in Ireland. Horses completed four phases; dressage, jumping over a hugely complimentary course designed by Eugene O’Neill, conformation and quality and suitability and potential. In the four-year-old section, Make A Move, owned and ridden by John Bannon claimed top honours with Marti Rudd’s Monbeg Libertine in second and Nicki Roncoroni and Tamerlane in third. The five-year-old qualifier was won by the Emma Jackson owned and ridden Carra Lux Quality, in second place was Clare Abbott riding Hamada and in third was Camilla Speirs and BT Jump The Gun. Tattersalls Ireland is now gearing up for the 2018 July Show and dates will be confirmed in due course.